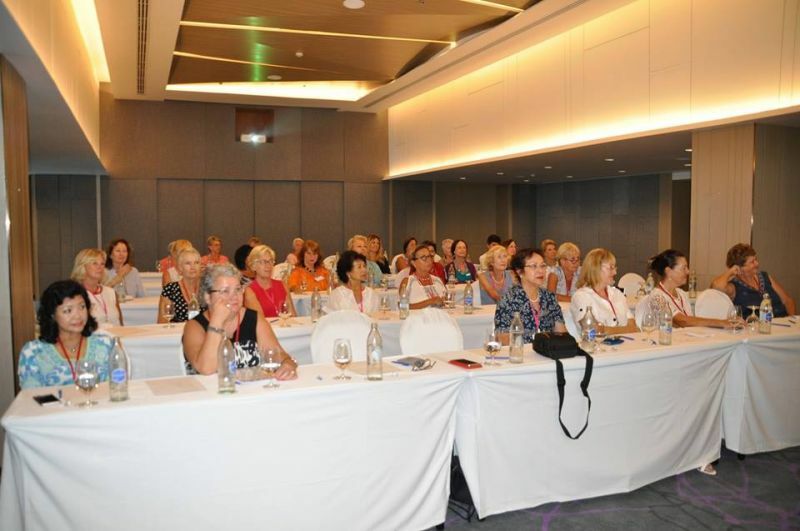 The Phuket International Women’s Club (PIWC) held its Annual General Meeting at the Novotel Phuket Phokeethra on Thursday, March 15. During the meeting several speeches were given by members and the club’s financial records were presented. 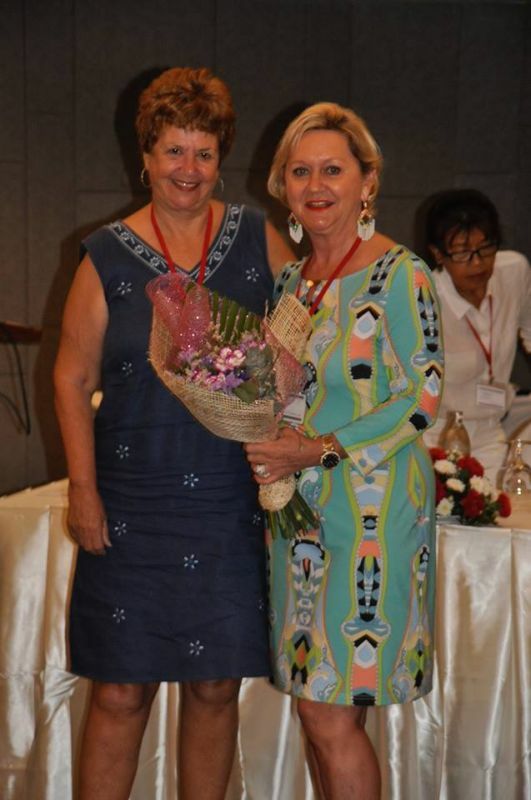 An election for the 2018 PIWC committee was also conducted and long-standing member Maggy Wigman was elected as president, replacing Lyn Carthew who had served in the role for the previous two years. “We are doing well Ladies, extremely well, because not only did we have a successful fundraising event but we have more and more sponsors giving us money for our scholarship fund. 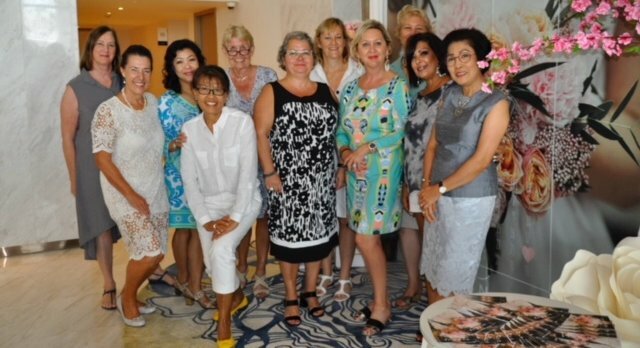 "Like Mr Dan Boland, who is the Chief of the Slags (Saturday Laguna Golf Society), who came to the meeting to hand us over a cheque,” wrote newly elected PIWC President Maggy Wigman in the club’s newsletter following the AGM. “Our President for the past two years Lyn Carthew stepped down and we thanked her with flowers for a great job well done. 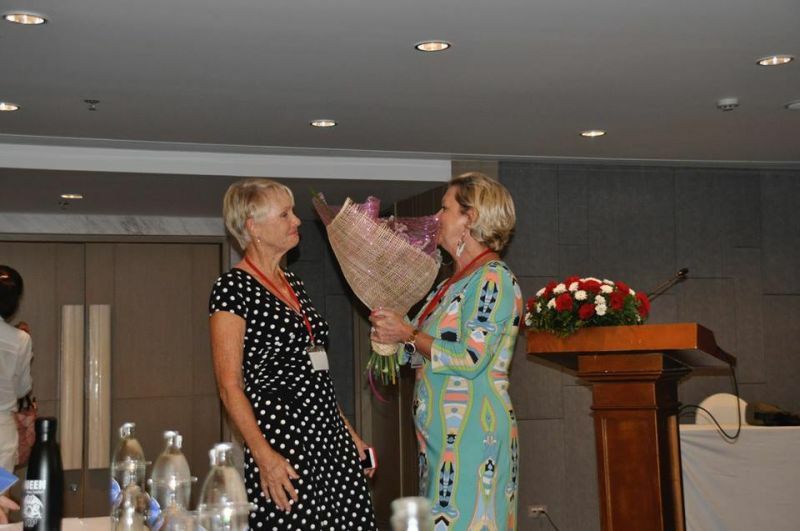 Flowers were also given to Sue Arnulphy for her outstanding job, being in the committee for 13 years. "She was president for two years and [was for] many years our treasurer and on the scholarship committee. Thank you again Sue for all these years of hard work and commitment,” said Maggy. "I am very happy to welcome 3 new committee members, Lorna Schroeder, Missy and Shelda Mitchell. I am looking forward to a great year and thank you all for supporting me as the new president,” she added. This year the PIWC Scholarship Program saw 12 students graduated from various courses. This included six students who received their Vocational Certificate of which some will continue studying a Vocational Diploma course. Other scholarship recipients will continue with further study at Phuket Rajabhat University and one will go on to begin her career. Five other scholarship recipients received their Vocational Diplomas and one student received their Bachelor Degree in Tourism Studies and has been guaranteed a job at the Ramada Southsea Hotel.